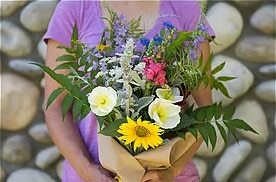 LANDER – Dandelion Farm owner Teresa Tibbets views her fresh-cut flower business as a kind of tribute to the beauty that manages to blossom despite the hardships on the wind-swept Wyoming landscape. 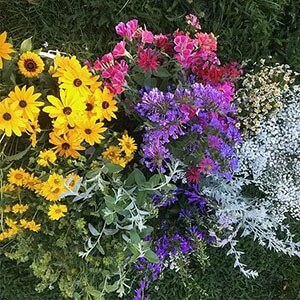 In her backyard, Teresa grows a variety of flowers, including sunflowers, snapdragons, sweet peas, and bachelor buttons, which are grown for weddings and special events, the Lander Valley Farmer’s Market or through subscriptions to businesses and individuals. In 2015, Teresa began selling herbs at the farmer’s market, with a few flowers besides. The endeavor was christened “Dandelion Farm,” based on a suggestion from Teresa’s son. “The name appeals to me because it represents seeing the good in things that others see as weeds,” she said. Teresa didn’t set out thinking her flowers would sell but sell they did. And since no one else was offering flowers at the market, Teresa decided to shift her primary focus to flowers in 2016. 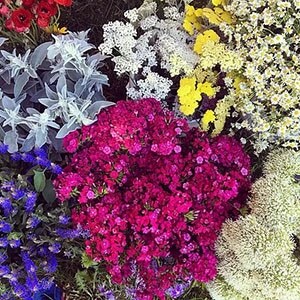 A year later, she began providing fresh flowers for weddings and events. 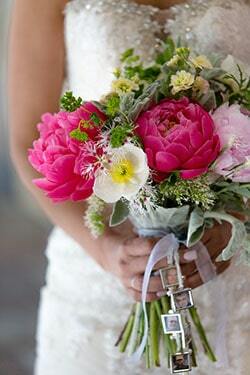 Teresa now offers buckets of flowers for DIY weddings alongside floral design services. Deanna Trumble of Lander signed up for the Dandelion Farm flower subscription service. She chose to receive flowers in a bucket rather than a vase, which allowed her to prepare floral accents throughout her house. Deanna also appreciates that the flowers were delivered. While Deanna used the flowers around her house, one of her friends used them in floral arrangements on tables in her restaurant, and another received large bouquets for display in her hair salon. “I think the subscriptions fit well for everybody. You have a big choice of what you could do with them,” Deanna said. She added that people who did not have subscriptions could still enjoy Dandelion Farm’s fresh-cut flowers by buying them at the farmer’s market. The Wyoming Small Business Development Center Network has partnered with Dandelion Farm on every step of its journey. Sarah Hamlin, SBDC business advisor in Riverton, assisted Teresa in developing a marketing plan and helped her build a website and social media strategy. SBDC also helped Teresa set up her bookkeeping system and evaluate long-term plans from expanding services or products. 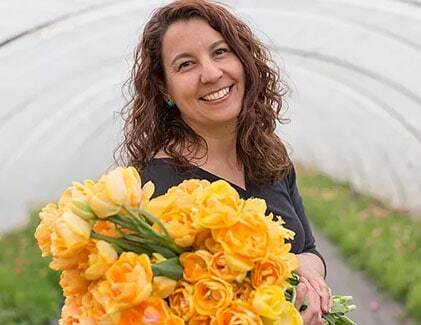 “Five years down the road, I’d love to be growing an acre of flowers, offering floral design workshops, and maybe even expanding to other markets around the state,” Teresa said. 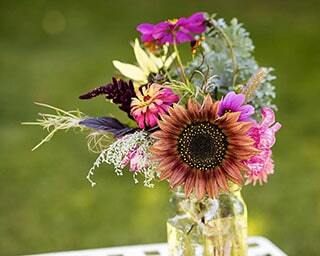 Flowers are a seasonal product, but that doesn’t mean the work ends with the growing season. 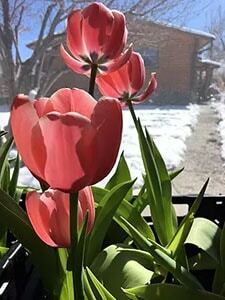 In the fall, Teresa and her family took advantage of the mild weather to plant over 1,000 tulip bulbs. Then she made wreaths for Christmas and also hoped to coax her greenhouse-raised mums into blooming for holiday bouquets.